Our inspiration post has gone live on our Challenge Blog. The theme this month is Summer Holiday or Create a Scene. 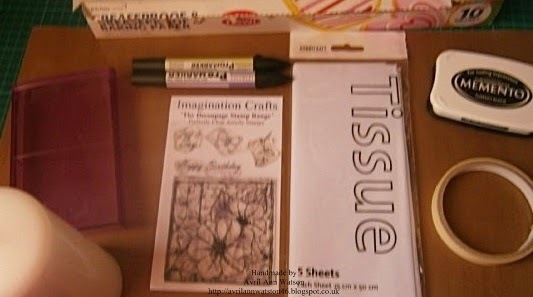 One lucky winner who has used Imagination Crafts products wins £40. We look forward to seeing your entries. 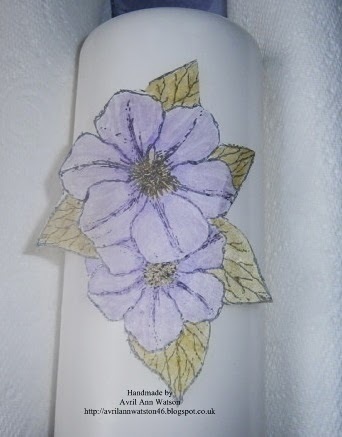 Colour the clematis with alcohol ink pens, Avril has used Promarkers, on the tissue paper. Cover the image with wax paper (baking paper), wedge the candle between wads of kitchen roll to keep wax paper and image secure. 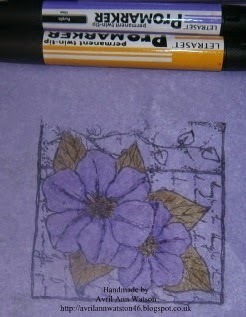 Use heat gun to adhere image to candle. To finish off adhere a butterfly. 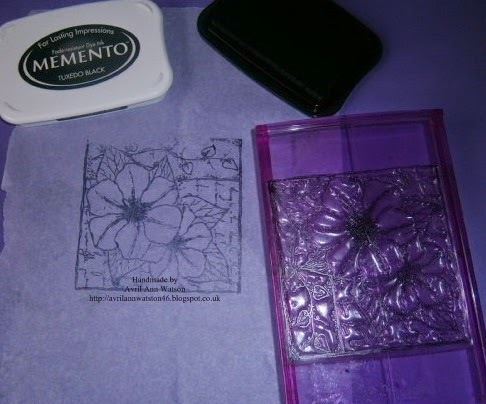 A beautiful idea and will make a fabulous gift. Enjoy your weekend and we hope you have enjoyed the tutorial. Wednesday already and that means we have another tutorial to share with you. 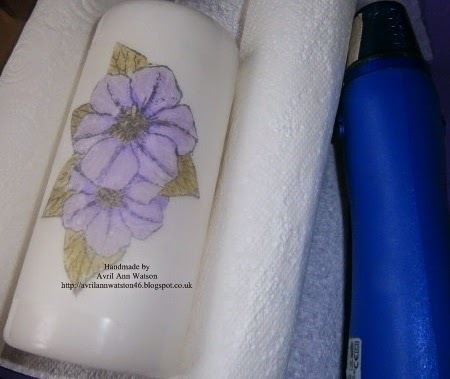 Our Kath has another You Tube video showing another technique using your stencils. Hope you manage to have a go and share your makes with us, it would be great to see them. 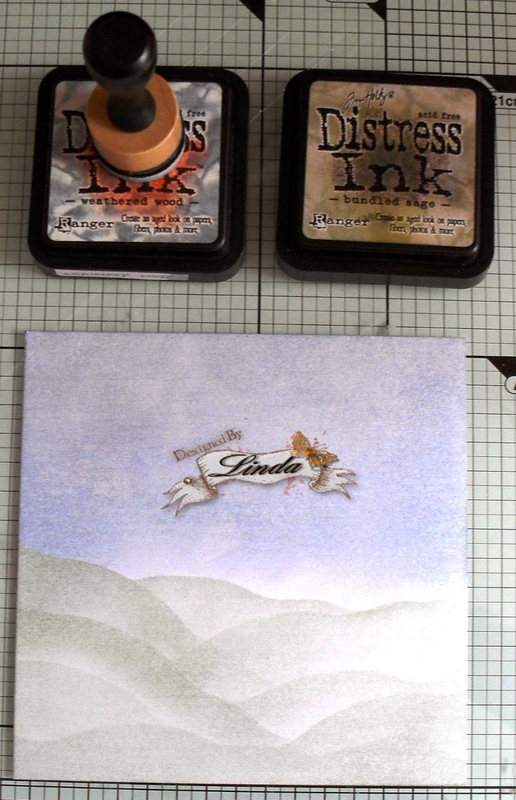 I cut a piece of pearlescent card down to 15 x 15 cm and using Distress Ink Weathered Wood and Bundled Sage to create the sky and hills. 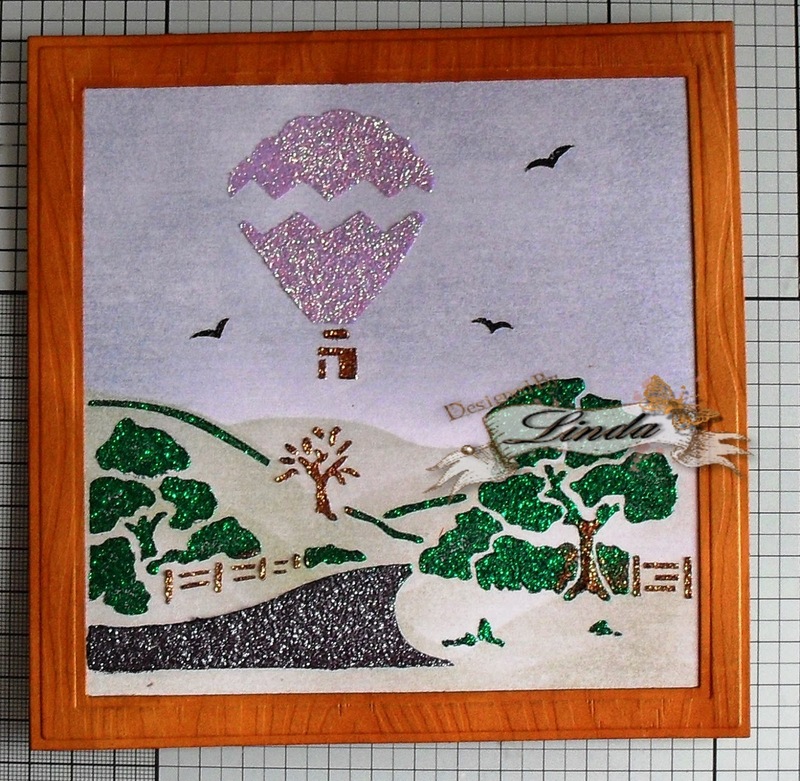 Using Sparkle Medium in Forest Green, Gunmetal, Soft Purple, Black Stars and Cinnamon. 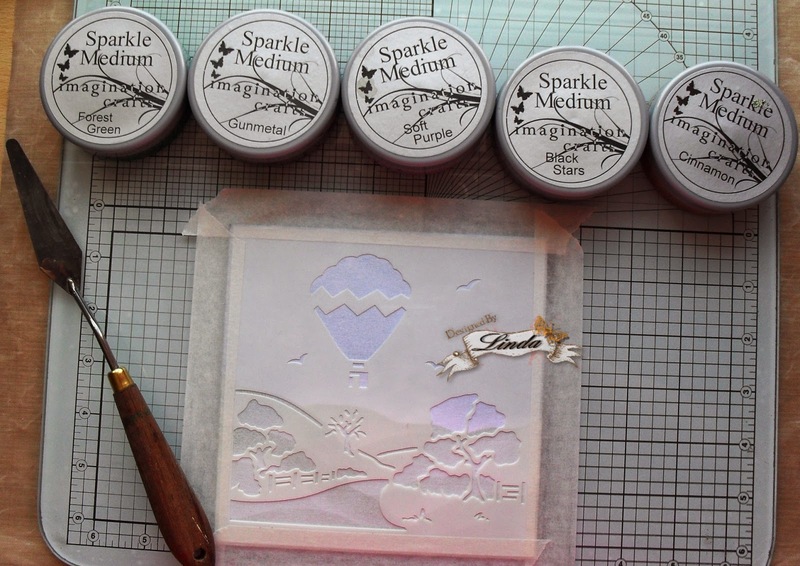 I stencilled these over the Ballooning stencil and put to one side to dry. This is the scene which has now dried. 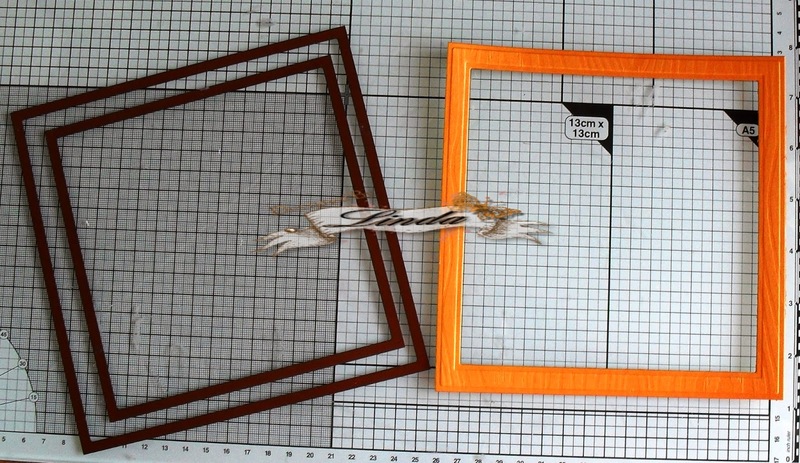 Using Spellbinder Grande Square I cut out a frame using wood grain card. 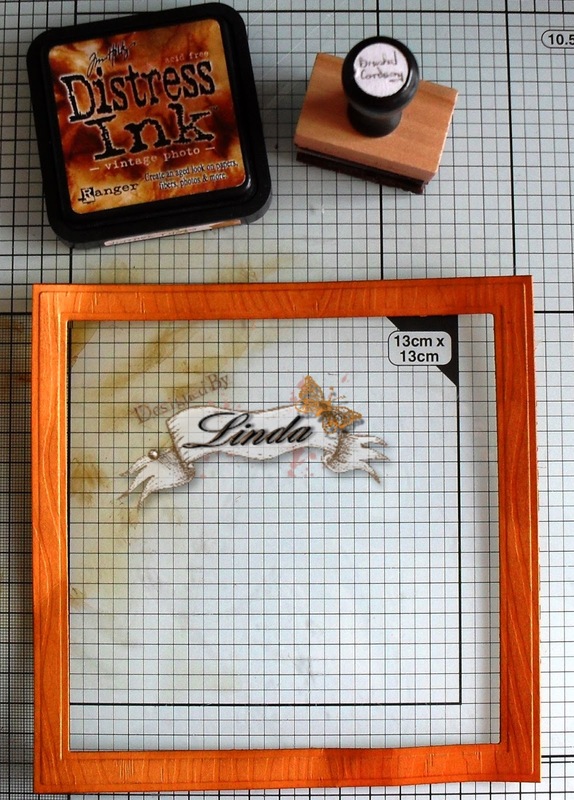 I then distressed the frame with Vintage Photo which highlights the wood grain card. 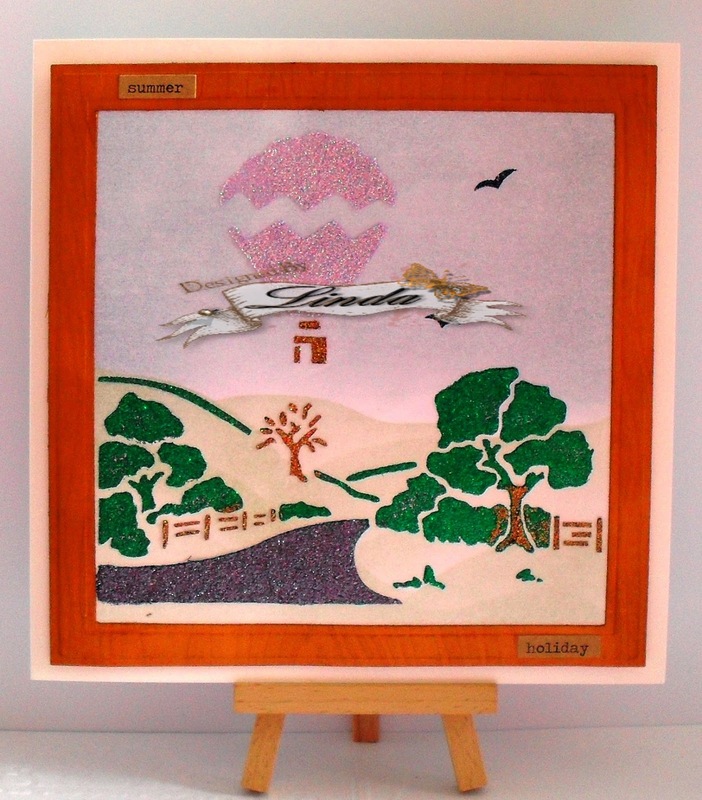 Positioned the frame over the scene I created. 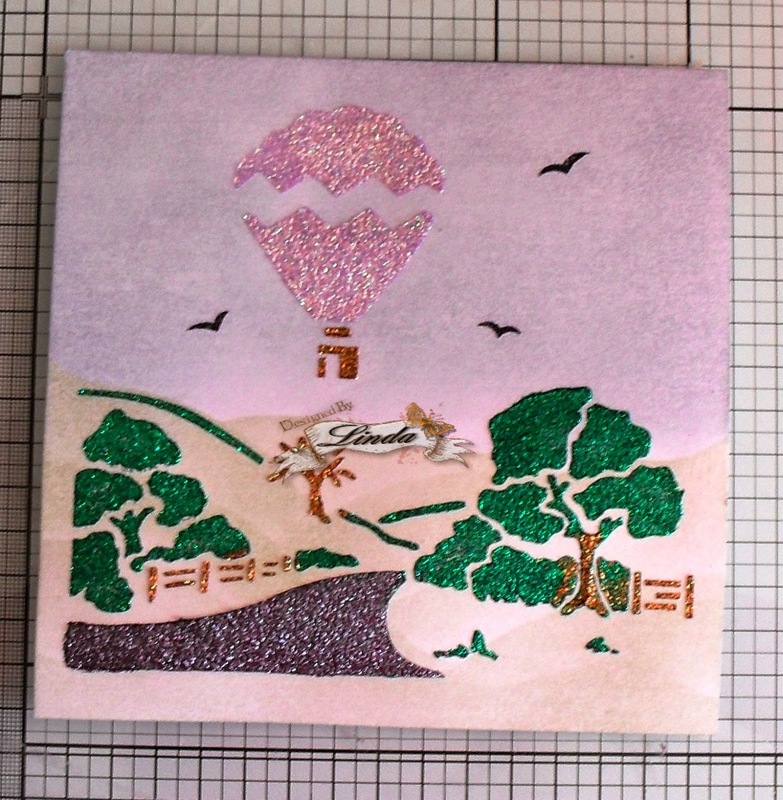 To finish off I matted and layered with foam pads for dimension onto a 7 x 7 square cream card and added Tim Holtz Chit Chat "Summer Holiday"